Look out Cairns, the 2016 Cairns Airport Adventure Festival is taking place from 5-12 June 2016. There is still time to enter, so why not plan an active getaway to Tropical North Queensland with the whole family! There will be an event for everyone, including the Coral Coast Triathlon, the RRR Mountain Bike Challenge, the Great Barrier Reef Ocean Challenge, Quicksilver Reef Swim – Green Island, The Cairns Post Bright Night Run, McDonalds IRONKIDS Cairns, and the IRONMAN 70.3. 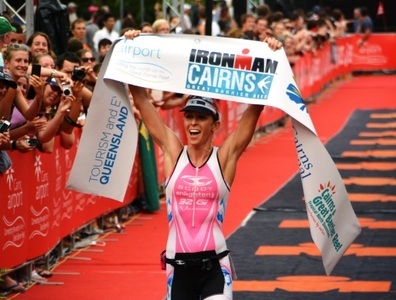 The headline event of the festival is The Cairns Airport IRONMAN Asia-Pacific Championship Cairns taking place on Sunday, 12 June. With arguably the most spectacular course in the world, the full-distance triathlon features a 3.8km swim in the tropical waters of the Great Barrier Reef, a 180km bike leg along one of the most scenic coastal roads in Australia between Cairns and Port Douglas, and a 42.2km run that includes the Cairns Esplanade. For those of you who aren’t quite ready to take on an IRONMAN course, there are a range of other ways you can be part of the action. 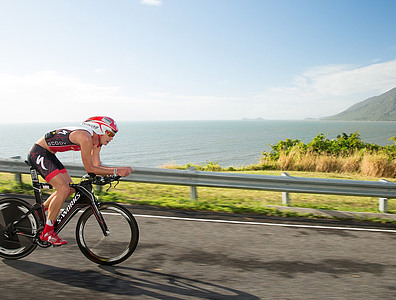 The Coral Coast Triathlon starts and finishes in Port Douglas, and includes a leg on the stunning Four Mile Beach. There are two options, a Sprint Distance (750m swim, 20km bike, 5km run) and an Enticer Distance (300m swim, 10km bike, 2.5km run), and both take place on Sunday, 5 June 2016. Hot off the heels of the MTB World Championships, the RRR Mountain Bike Challenge will take place on Sunday, 5 June. Featuring a cross country terrain consisting of rural, rainforest and reef (RRR), the event is the longest running point to point race in Australia, and is one of the most visually spectacular races competitors can hope for. For more information about mountain biking in the Cairns and Great Barrier Reef region, click here. Australia’s largest downwind iron ocean race is taking place on Sunday, 5 June from Yorkeys to Port Douglas, the Hekili Great Barrier Reef Ocean Challenge. This incredible 45km surf leg along the coast will feature more outrigger canoes, surf skis, SUP boards and prone boards than ever before, and will be a true test against the elements. On Thursday, 9 June the Quicksilver Reef Swim – Green Island takes place, offering competitors the chance to swim either 1.5km or 3km across the Great Barrier Reef. With the chance to see turtles, reef fish, and a variety of corals, this event is one of the most unique events in the festival. After the race competitors are able to relax and enjoy their time at Green Island, as entry fees also include snorkelling equipment or a glass bottom boat coral viewing tour, exclusive use of Green Island’s swimming pool, a self-guided island walk, and use of the day facilities on the island. 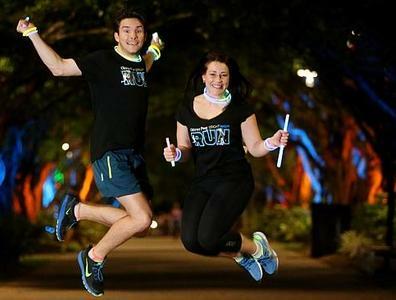 What a way to end the working week – The Cairns Post Bright Night Run! On Friday, 10 June make your way along the 5km Cairns Esplanade course that includes a revolving lights warm-up stage, fluro face painter, a black light tunnel, fire twirlers, a smoke machine laser show, star tunnel, tree luminati, and an LED squares finish line. Just for the kids, the McDonalds IRONKIDS Cairns Triathlon takes place on Saturday, 11 June. With a short swim in the Cairns Esplanade Lagoon, a bike leg along the Esplanade and a run along the boardwalk to the finish at Fogarty Park, we are sure it will be a whole lot of fun to participate in. With so much to do and so much fun for the whole family, why not plan an action packed getaway to Cairns and the Great Barrier Reef.